Initial LF is a synthetic ceramic for low-temperature firing on alloys with a CTE compatible with those for GC Initial MC. 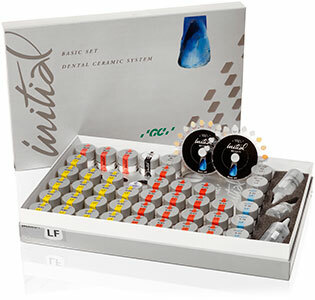 This low fusing ceramic can easily be polished for a ‘true-to-life’ glossy sheen and reduced occlusal abrasion. 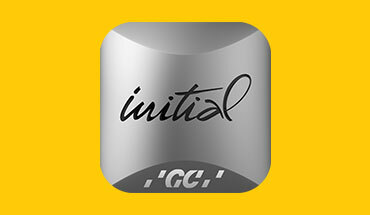 Initial LF is used to correct restorations made with GC Initial MC or as a build-up material on GC Initial PC copings. 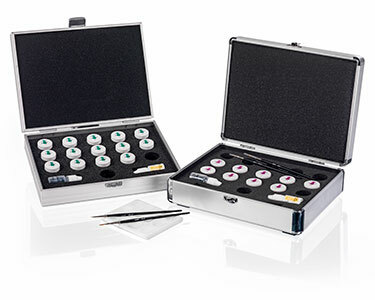 The coefficient of thermal expansion (CTE) of 11.6x10-6 K-1(25°- 500° C) makes Initial LF suitable for ceramic-metal alloys with a standardized CTE, for NEM, high- and reduced-content gold alloys, but also for galvano or palladium-based alloys (with a silver content < 20 % ).